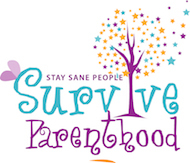 August 8, 2011- If you are a parent to a teenager, you might want to know about a possible Ecard they could receive. Ecards: Electronic notes sent via the Web that are known for their false sentimentality and ease of use. Not only do Ecards on your birthday or other special occasion have the benefit of being quick, easy, and free, the sentiment behind it comes across loud and clear. Instead of saying, “Happy Birthday, I love you”, you really end up saying “I’m just too lazy to call/write/visit you in person/spend $1.00 on a real card.” And just when you thought that Ecards couldn’t get any worse, they branched off in an entirely new direction. The British Columbia Health Authority has jumped on the bandwagon put into motion by several other Provinces. In an effort to combat STD’s, they have begun to direct the population to a website called inSPOT.org. 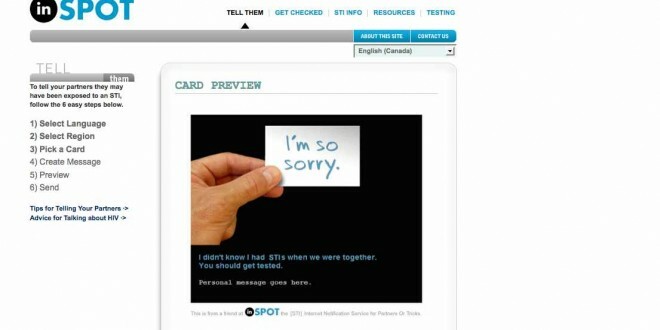 inSPOT is a free ecard service that will alert your significant other or casual fling to the fact that you have tested positive for an STD. You can send it anonymously, so the sender will never know it was you that recommended that they get checked out. Some of the variations of cards include a very basic, “I’m sorry. You should get tested” or a very complicated version with an image of a screw and some very to the point wording. Included on the website are links to testing locations and some basic information for users, which is indeed helpful for those in need. As well, you can’t argue with the ability of the world wide web to connect and inform people, even for something as personal as an STD. All in all, the website is innovative and helpful in tone. Yet however positive the sentiment behind the website, some people may find it a bit too impersonal for their taste. It could indeed be said that these types of Ecards are a testament to the entire “I can hide behind my computer mentality” that our culture seems to live by. Where is the line of being socially and morally responsible? Where you actually pick up the phone and make that difficult call to someone that (hopefully) you had feelings for at one time? Congrats, you aren’t the Father! You know when I told you I was pregnant, well I really wasn’t. Hey Hey Hey, you defaulted on your mortgage. You are out in 30 days. Surprise: Your child is failing 3rd grade. For all of the occasions in life, there is an Ecard. In the case of inSPOT, the Ecards are promoting the users to do the right thing and come forward. One just hopes that ‘Ecards for everything’ won’t teach the next generation that it’s OK to hide behind their computer. Previous Mom Tech Tip: Is your iPhone battery draining fast?